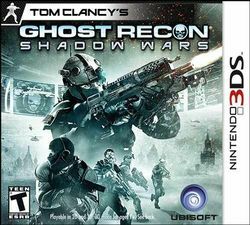 Tom Clancy's Ghost Recon: Shadow Wars is a turn-based strategy game developed by Ubisoft. It is one of the launch titles for the Nintendo 3DS. It features small missions on a tile-based map similar to Final Fantasy Tactics and Disgaea. This page was last edited on 12 October 2016, at 21:31.